K9Grass® is the artificial grass designed specifically for dogs. With its exclusive flow-through backing, short dense blade structure, and antimicrobial protection, K9Grass offers a cleaner, safer, better smelling environment for pets. Say goodbye to cold concrete, gravel, mulch, muddy yards, and dirty paws—K9Grass is the solution you have been looking for. Pet facilities benefit from the long-term savings, added cleanliness, and increased revenues they see after installing K9Grass. Clean, safe, beautiful and easy to maintain—K9Grass is everything you want and need from a surfacing product. 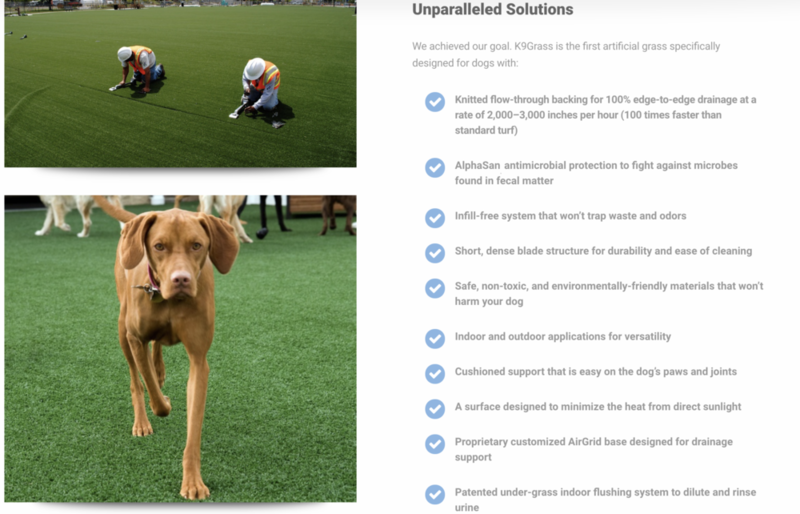 Visit K9Grass.com to view detailed product information and specs.